So my mom has been asking for a piece for a while now. I haven’t been ignoring her request, but my mother and I have very different taste in art. She likes Thomas Kinkade. I personally can’t stand his stuff. I’m more into modern/abstract art. So I’ve been struggling with how to do a piece for my mother that 1. I don’t despise 2. 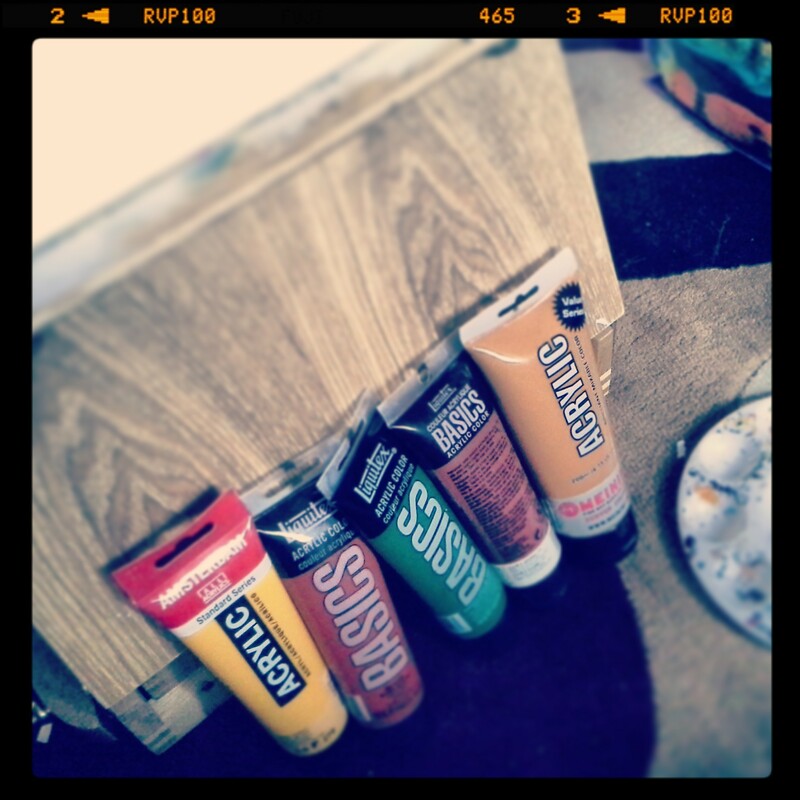 I could enjoy doing and if I’m really lucky 3. reflects who I am as a painter. 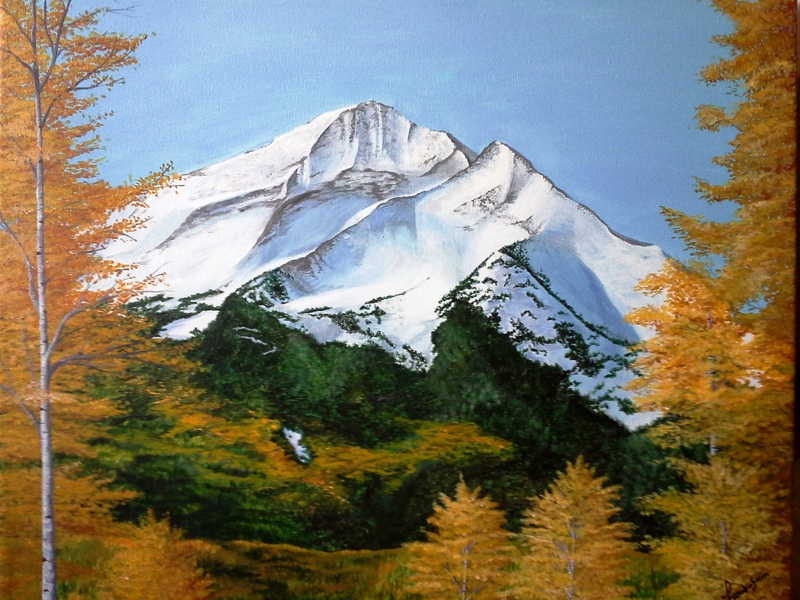 One sunday after conquering La Plata Peak (14, 336ft) I felt especially inspired and decided that painting a mountain peak could at least fulfill two of those requirements. 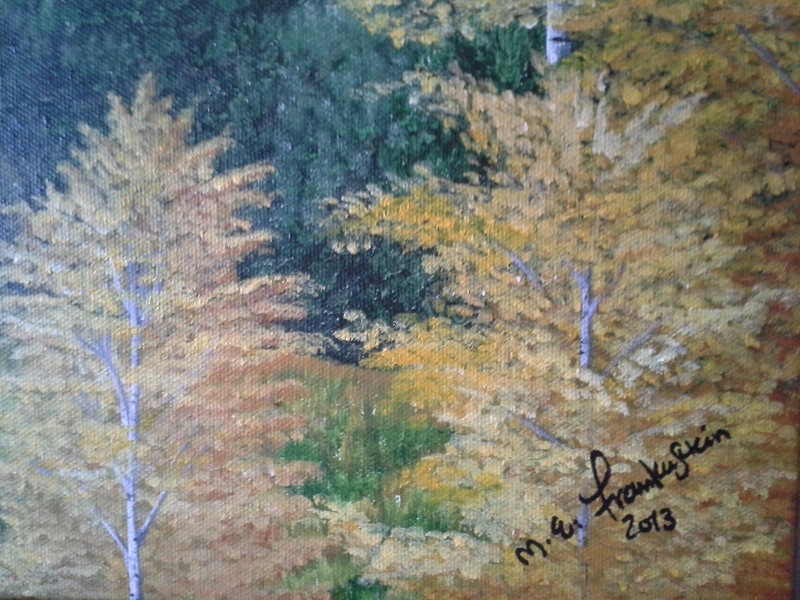 Gathering up the colors to paint some Colorado autumn trees. 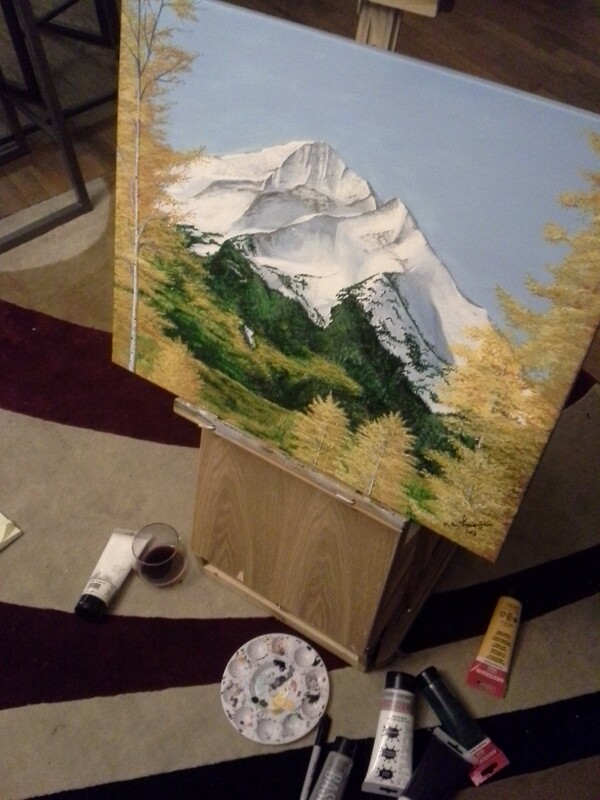 After a few weeks of marathon painting and numerous glasses of Malbec I managed to cover the canvass. 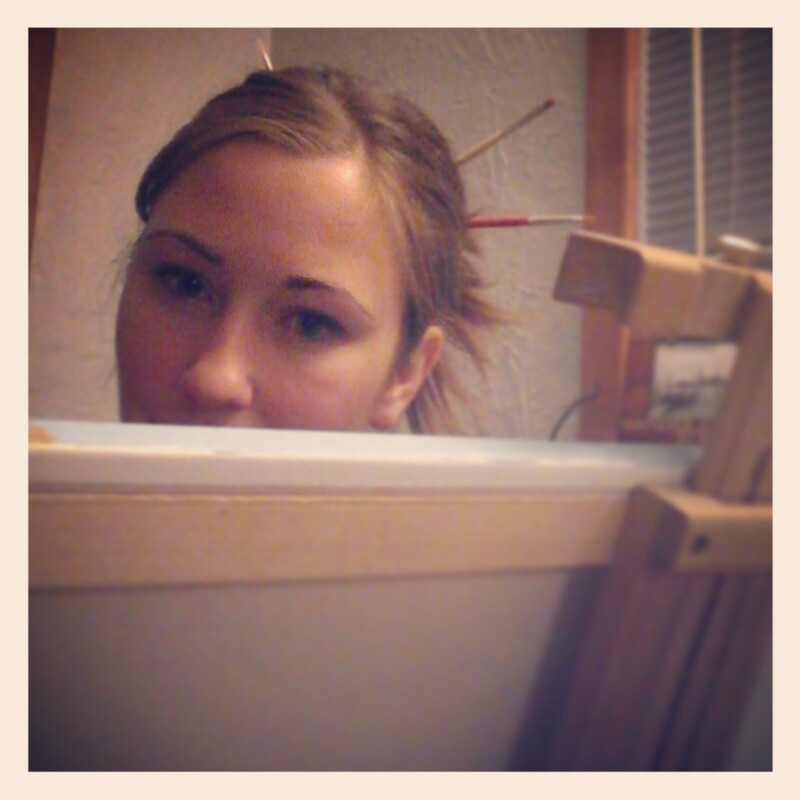 How do people keep track of their paintbrushes without a ponytail? 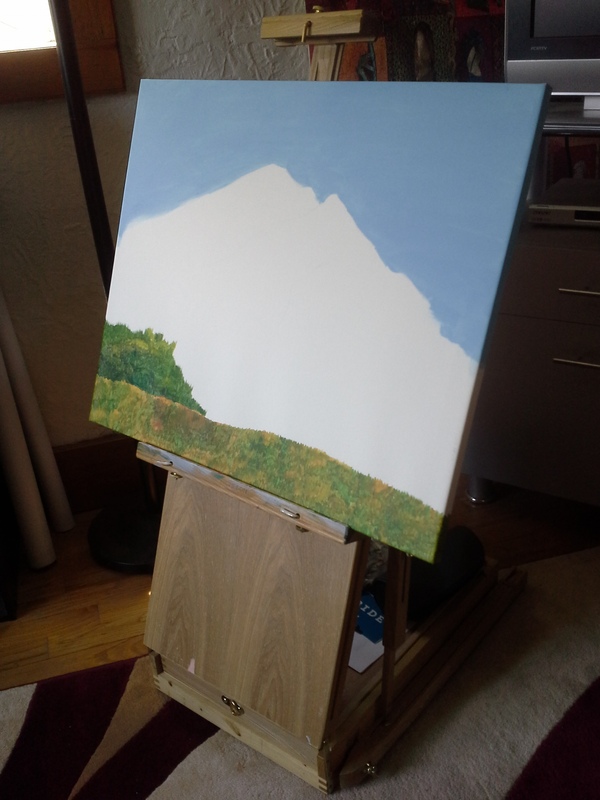 A vast majority of the painting was done with maybe 4 different brushes. Rather than having them rolling around on the floor, getting lost, I’d stick them in my ponytail. 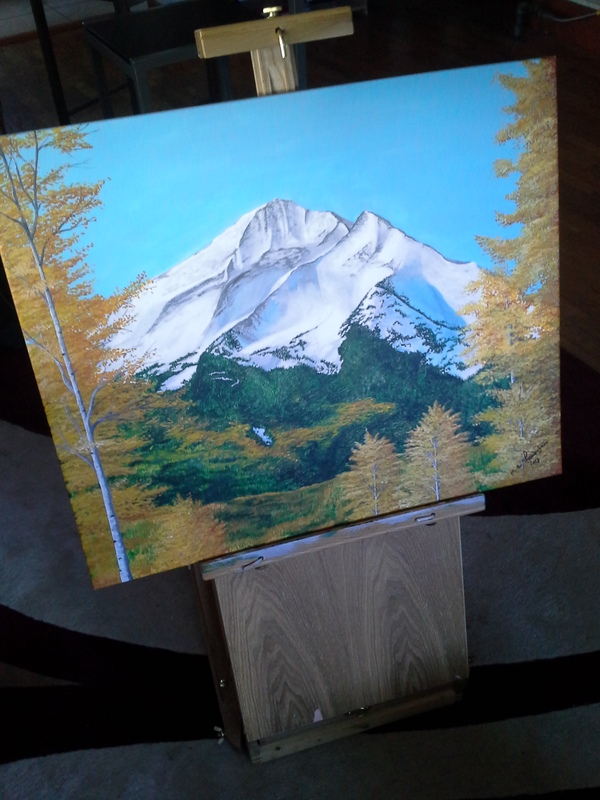 A close up of the Aspen trees in the lower right hand corner, where I also always sign my name once the piece is entirely finished. After an immense amount of time and frustration, I finally felt it was complete the night of July 18, 2013 (paint hit the canvass on June 30th). 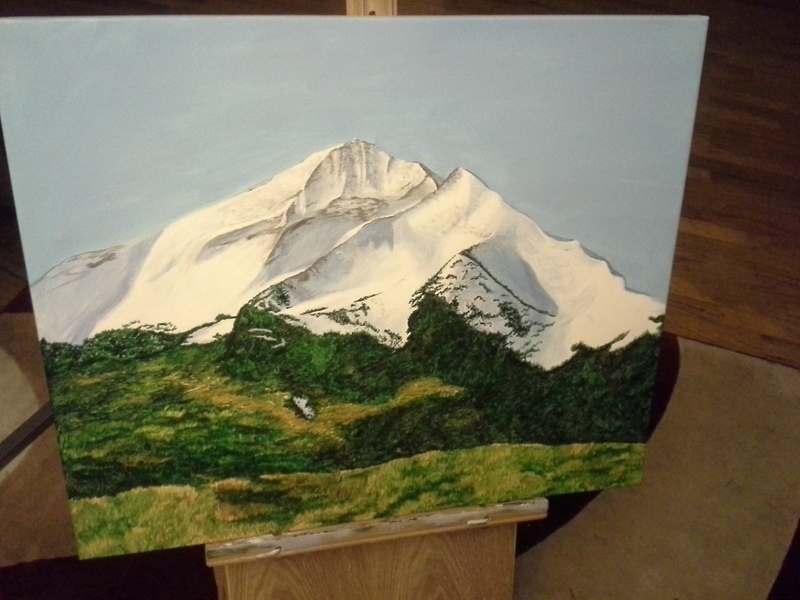 This entry was posted in Across the Divide and tagged 14er, Acrylic, Aspen trees, Autumn, Colorado, painting, snowy peaks. Bookmark the permalink. It is beautiful! It looks like it is in 3-D.